When it comes to product quality, we don’t take anything for granted. All Metal Action Machining’s manufacturing processes are strictly controlled and seamlessly integrated with our quality control system, reducing the possibility of human error to a non-issue. Over the years, our high production standards have allowed us to participate in almost every major aircraft family flying today. A broad range of inspection services are available for our customers. Our inspection facilities are one of the most advanced in Western Canada. We can provide part conformity to original design engineering, contour measurement, freeform surface inspection, full SPC analysis, 3D scanning and many others. Our inspection documents are ISO9001 conforming. 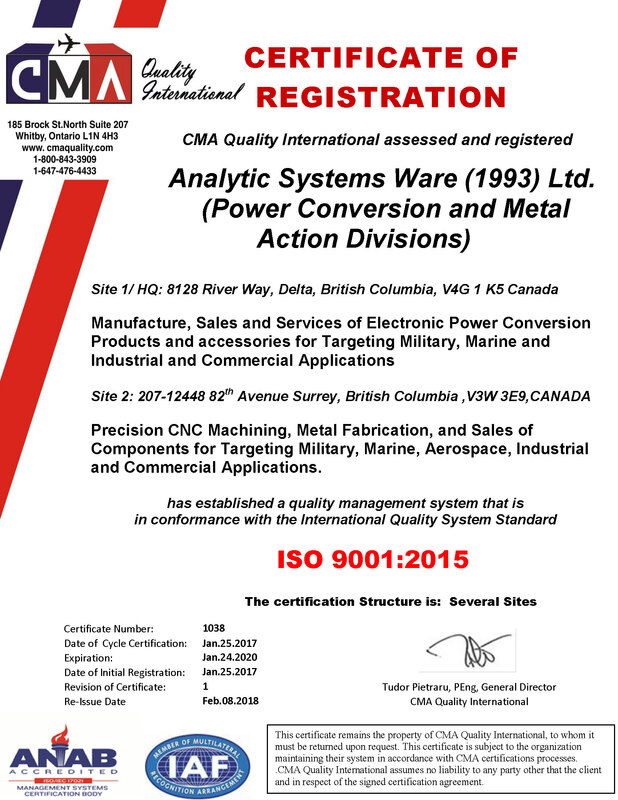 Metal Action continually updates and audits its quality systems, reinforcing those improvements with the expertise of dedicated and highly-trained employees ready to provide your company with quality products. We guarantee all of our products to be of the highest level.